A customer signs up for an annual subscription. The person immediately gets access to some courses. In the second month of the subscription, they get access to new courses and can continue to access the courses from month one. This continues monthly until the subscription expires after 12 months. The customer is then given the option to renew. Understandably, the company providing this course-of-the-month subscription service doesn’t want the headache of managing all this manually. They want the process automated within the learning management system so that it’s scalable when the business takes off and they have tens of thousands of learners. They also want to spend their time and energy on creating great content rather than managing course access. Here’s how to support this business model using a learning management system. For the sake of this example, let’s assume that this commercial course provider sells courses related to mandolin playing. Ok, full disclosure. 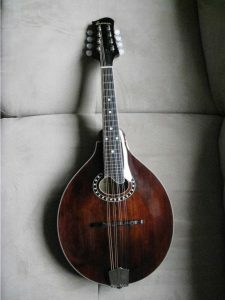 In the hope of receiving a gift of a mandolin, I’ve been dropping hints around the house: pictures of mandolins on the fridge, Chris Thile mandolin music streaming on Grooveshark, visibly spending time on the LinkedIn Mandolin Players and Enjoyers Group (yes, this really does exist.) Add this Blog post to this shameless hint list. STEP 2: Specify that this bundle of courses will automatically expire after 30 days. STEP 4: Specify that 30 days after a learner gets access to the first course bundle—the date they placed their subscription order—they’ll automatically be given access to the second course bundle. Repeat STEPS 3 and 4 above for months three to 11 of the subscription. Each month’s course bundle should contain the courses from all previous months along with new courses. Also, each month’s course bundle should automatically expire after 30 days but simultaneously provide access to the next bundle. Since this is a 12-month subscription, the last month should automatically send an e-mail to the customer encouraging renewal and pointing them to where they can purchase a second year membership. That membership will contain all the courses from year one and the process above will resume. If the customer does not renew, the content from the final course bundle will expire and be removed from the customer’s portal. The course-of-the-month club can be a potentially effective business model, especially if the content being provided is timeless and doesn’t become obsolete. The customer is motivated to renew their subscription since the value of the subscription grows each month as more courses are added to their library. If this course subscription model existed for mandolin-related content, I’d sign up in a minute.